Hi, yes I would like one slice of pizza AS BIG AS MY BODY. ATTENTION PIZZA LOVERS: feast your eyes on the biggest pizza in professional sports! Sink your teeth into the 18" Grand Slam Slice -- only at Camelback Ranch . A whopping 25 pepperonis on every slice. 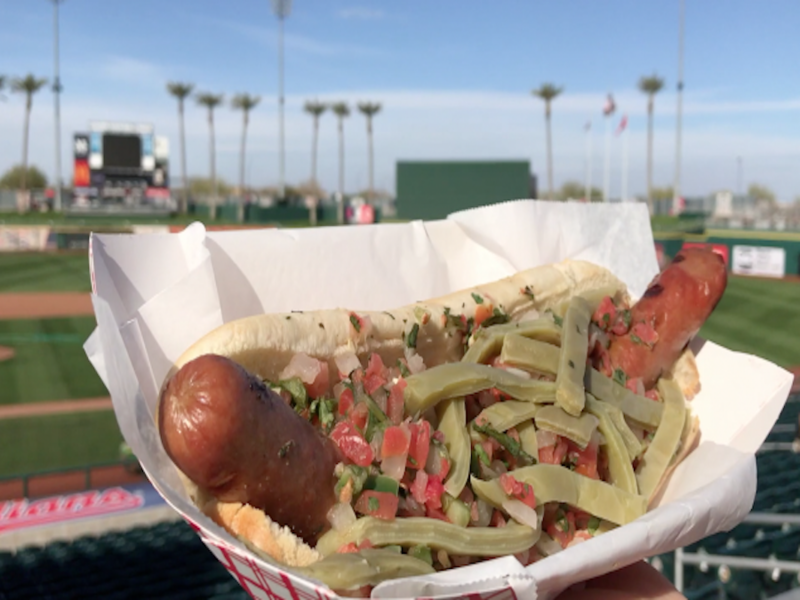 The Spring Training home of the Dodger Dog wanted to showcase another larger than life item on their menu this season. Watch the video above to see all of the cheesy goodness! 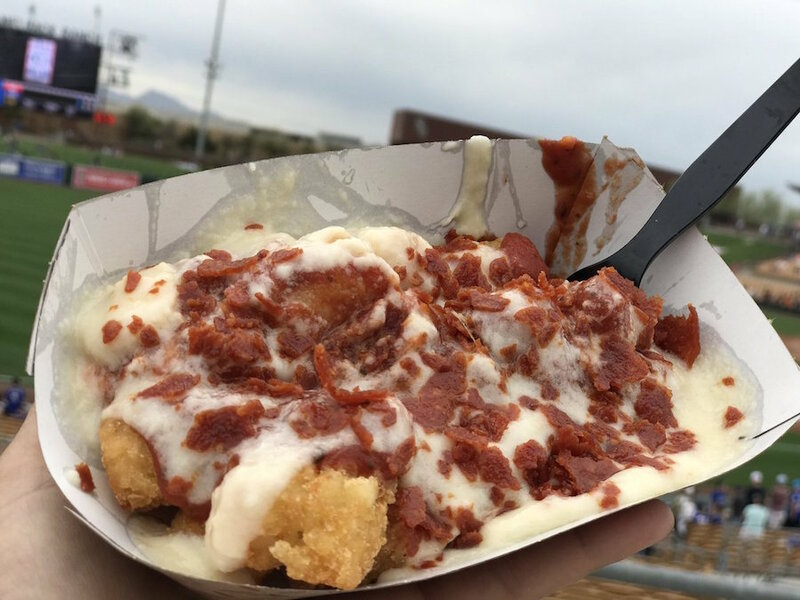 You can purchase this wonder of the ballpark food world for $13.00. Click here to get tickets!